For one of Europe's finest young jazz guitarists, Max Frankl, jazz as a musical dialogue remains fiery and fertile. Through geographical travel, and his own personal creative odyssey, Frankl has nurtured an aesthetic that's reverent to jazz heritage but also is boldly progressive. He can be lyrical and virtuosic reading evergreen standards, and ethereal and atonal exploring electronic soundscapes. The thread through it all is remaining true to his creative and relentelss wanderlust. The Zurich, Switzerland-based artist's newest album is a sonic travel log from his transformative trip to Brooklyn, and it answers the question: What happens when your Airbnb host is an electronic musician making music while you're trying to sleep? Max Frankl's sixth album is an adventurous collaboration with Brooklyn-based electronic artist Walrus Ghost. Frankl was born in the outskirts of Munich, Germany in 1982. Admittedly, growing up he wasn't a jazz buff, but, instead, his earliest musical inspirations were Nirvana, Guns N' Roses, and Soundgarden. At 13, his father took him to a big band concert and the energy and freedom of the music woke something up in his soul. He woodshedded guitar for two years straight before he joined his school jazz band. While in jazz band, he fell in love with improvisation?the opportunity to tell your own story within a song. Max Frankl has been inspired by an eclectic array of jazz icons and iconoclasts, along with fringe musical offshoots inspired by jazz's exploratory spirit. A cross section of his artistic beacons include Maria Schneider, Miles Davis, Charlie Parker, Aaron Parks, Radiohead, Pat Metheny, Ben Monder, and Kurt Rosenwinkel. "Jazz has been the mother of a lot of interesting genres and music forms," opines Frankl. He's garnered a diverse array of accolades and acclaim, and so far has released five distinct and unique albums. 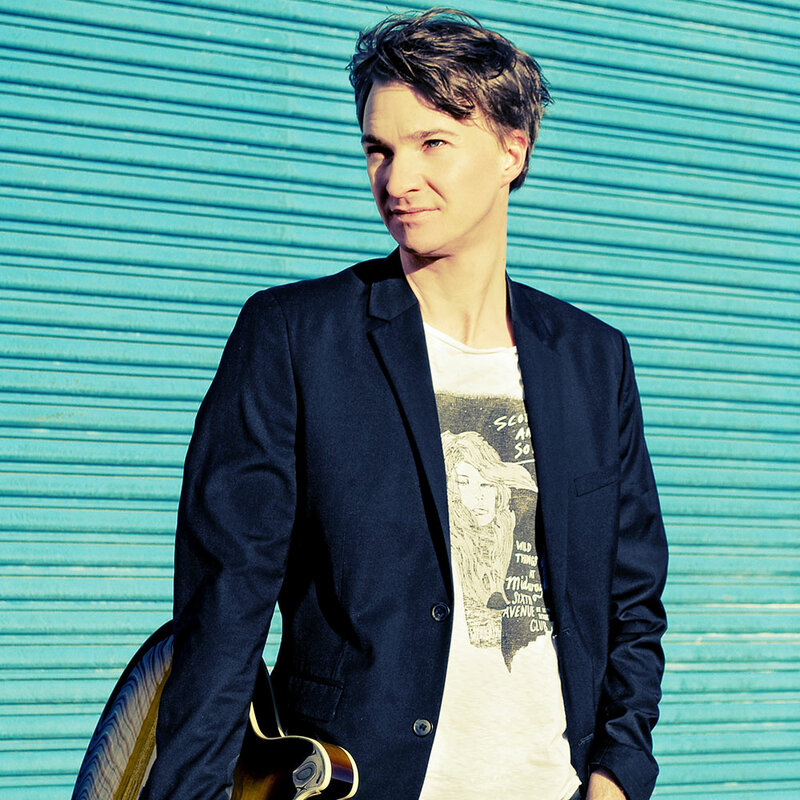 In 2009, Frankl became the first German guitarist to join the Official European Jazz Orchestra. He won the prestigious ECHO-Jazz award in 2012. The following year he earned endorsements from renowned guitar maker Ibanez Guitars, D' Addario Strings and Mesa/Boogie Amps. The same year Jazz Thing magazine placed Max on the permanent short list of All-Stars for their "Next Generation" list. 2014 peaked with the honor of winning the European Music Composers Scholarship. He's toured extensively throughout Germany, most of Europe, Africa, and shared the stage with such venerated artists as Lee Konitz, Benny Golson, Nils Wogram and Johannes Enders, among others. 2017 is shaping up to be a big year as Frankl has been awarded with the City of Zurich's New York City Scholarship. Recently, he has released his first educational book, Introduction: Modern Jazz Guitar, published by the prestigious AMA Publishing and founded the Max Frankl Academy, where he shares his knowledge and publishes a new podcast episode every week presenting guests like Ben Monder, Nir Felder or Julian Lage. The genesis of these podcast interviews date back to 2013 when Frankl spent six transformative months in New York City during an artist's residence. While in the Big Apple, Frankl was able to study and play alongside such modern icons as Ben Monder, Peter Bernstein, Gretchen Parlato, Chris Cheek, among others. NYC's jazz scene's creative fearlessness inspired him to foster a cross cultural musical exchange between Europe and America. Reflecting on life within the jazz world, Frankl says: "I know this sounds a little romantic," he laughs good-naturedly. "But the way I see myself as an artist is as a global traveler who connects to people, and then, in turn, connects people from around the world to each other. My mission is to show that we are all connected no matter where we come from or what our plans are."